How does a robot see? 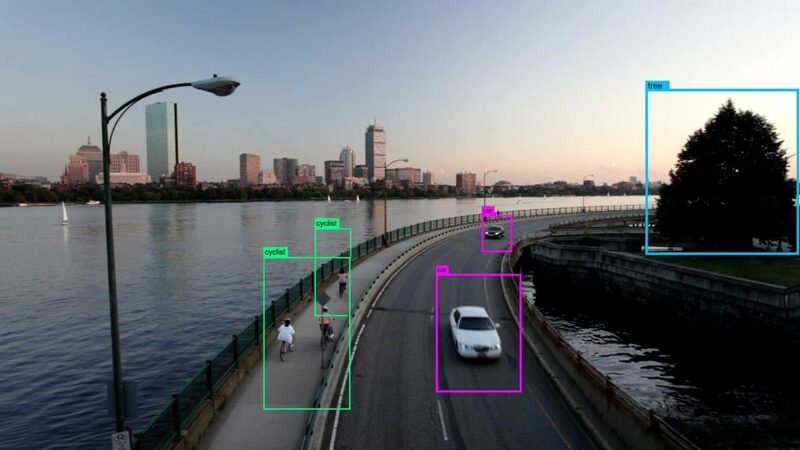 If you look at the picture you can see how it recognizes people and objects – crucial to self-driving cars and other AI-focused technology. That’s what Neurala offers. Neurala is a deep learning neural networks company that wanted to fully leverage its $14M in Series A funding in PR and marketing. While most funding stories focus on the fundraising round and the investors behind the capital investment, Neurala wanted to bring the focus back to its software, The Neurala Brain. Neurala has an interesting background, which PR leveraged to generate awareness of the mission, technology and personnel behind the company. Neurala’s co-founder and CEO Dr. Massimiliano “Max” Versace—member of the famous fashion royalty family—founded Neurala with two fellow Ph.D.s, Anatoly Gorchechnikov and Heather Ames. PR leveraged Versace’s background and name to draw attention to the core of what the company does—make everyday devices, including cars, more autonomous. Additionally, Neurala boasted previous partnerships with the Department of Defense and NASA as early adopters of their software. The PR team leveraged the background information as well as Neurala’s current client list to announce the funding while making “The Neurala Brain” the primary focus. The main goal was not just to secure coverage but to make Neurala a household name and drive future investments. Bospar held multiple messaging and positioning sessions to develop the tagline “The Neurala Brain” and included the software name in all PR and marketing materials, including press releases. The PR team also developed a thought leadership platform for key executives to secure high-level contributed content. For the funding announcement, PR generated more than 96 pieces of coverage, equaling 407 million impressions. The team secured coverage in major business and tech outlets, including CNBC, Wall Street Journal, TechCrunch, VentureBeat, Fortune, and Inc. The CEO and CMO report that inbound inquiries from prospective customers increased by at least 50% after the announcement was made. The coverage also stimulated interest from potential partners and investors. For its efforts Bospar earned a Platinum Award from the MarCom Awards in 2017.